Hi-P is a people-oriented organization where you can seek to fulfill your maximum potential as you pursue your dreams. At Hi-P, we believe in attracting, retaining and developing people who are committed to grow with us, people who are ready to take up new challenges in a dynamic, ever-changing global environment and people who thrive in an entrepreneurial culture. 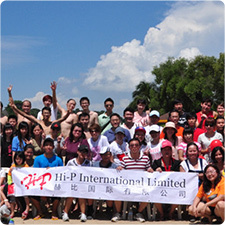 The two pillars of Hi-P culture are PEOPLE and RESULTS. At Hi-P, we believe that everyone plays a role in the success of the company and we seek to maximize each employee's potential and contribution. 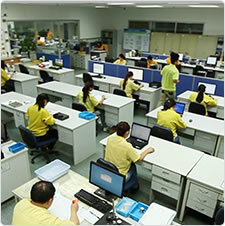 Our employees are rewarded according to their contribution and performance as individuals and as team members. Our shared values emphasize mutual respect, team spirit, integrity and discipline. We believe that these shared values not only create and promote a harmonious working environment for all but they also create a unique and valuable people who will take Hi-P to new and greater heights. The Hi-P family of more than 13,700 can be found all over the world, in Asia, the Americas, and Europe. We are a service-oriented technology company that believes in transforming our customers' concepts into reality with discipline and integrity. At Hi-P, you will never stop growing, both professionally and personally.